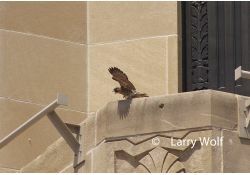 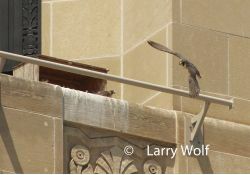 For the last few years, there had been two adult Peregrine Falcons in downtown Kalamazoo: a banded female (Rebecca) and an unbanded male. 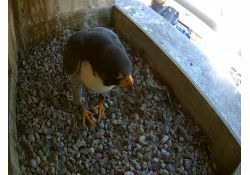 Because of the band number, we know the female is Rebecca and that she was hatched in South Bend. 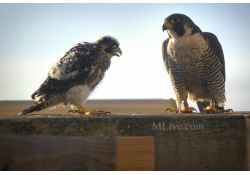 These adults successfully raised four young in 2014. 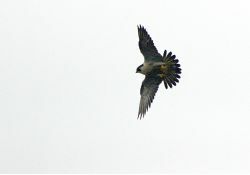 Astute Kalamazoo Peregrine Falcon watchers started to notice a change in behavior of the adult resident birds in November of 2014. 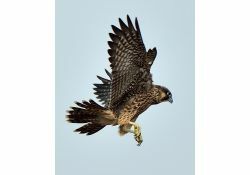 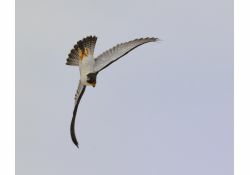 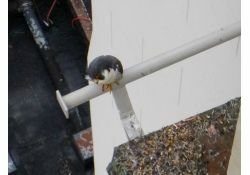 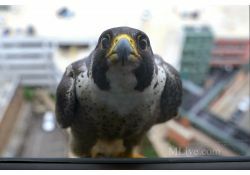 On February 21, there was footage from the nest camera that confirmed the presence of a male Peregrine with leg bands.